Hey, I’m Nadine, the face behind Le Long Weekend. It’s lovely to meet you! 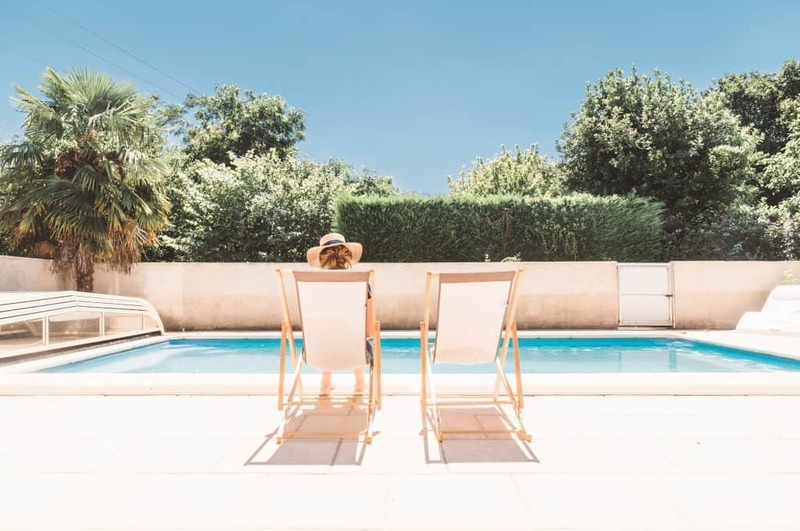 If you’ve read the intro on the Home Page already, you’ll know Le Long Weekend is a blog for people who love long weekend getaways, responsible travel and affordable luxury. If that sounds like you, awesome! You’ve come to the right place. Let me fill in a few gaps. I grew up in a sleepy township on the Otago Peninsula, in the south island of New Zealand. I shared my childhood with three siblings, and together we spent our days clambering through crab infested tunnels to the stony beach opposite our house. And eating banana sandwiches. Lots of banana sandwiches. We later moved to the seaside town of Gisborne, which is kind of like the Bondi of New Zealand, only before Bondi became, you know, Bondi. I’ve always had a million interests, but despite flings with fashion and food – my one consistent love has been travel. No surprises there though right? I grew up dreaming of travelling the world. I just didn’t know how I was going to achieve it. I entertained ideas of being a flight hostess, but didn’t relish the scheduled-ness of it. And I enrolled in tourism college, only to realise I wasn’t going to be content planning other people’s holidays! Then I landed a job in a banking firm in Auckland. What I thought of as a gap-filler (while I decided what I really wanted to do), turned into an 11 year career in investment banking that secured me positions in Australia and London. It wasn’t until I moved to Hamilton, aged 28, that I enrolled in university. Studying PR and Communications, it quickly became clear that writing was the creative outlet I was craving. Fast forward a couple of years and a baby later, I got a job in destination marketing. Finally able to marry my love of travel with a job that I enjoyed was a defining moment for me. But how did Le Long Weekend come about? Speaking of moving – our latest adventure saw us upping sticks and moving to France. I had to say au revoir to my job when we moved to France, but I didn’t want to stop sharing stories of the places I visited and loved… And so, Le Long Weekend was born. Once a solo explorer, I’m now frequently (although I still love to go it alone sometimes) accompanied by my husband Julien (a Frenchman – don’t let the warped Frenglish accent fool you! ), our son Arthur (a foolhardy four year old), and our two golden retrievers. Harvey – a big bouncy ball of energy that we adopted at 4 months old. And Chloe – our pocket rocket who came to us at 1 year old. While I love writing about our travels around Europe and beyond, I’m also hoping to start sharing some adventures closer to home. Living in France is full of surprises, sometimes with hilarious consequences (usually at my expense!). So have I convinced you to stick around? Join a community of over 15,000 other travel lovers by getting involved in the conversation over on Facebook, Instagram, Twitter or Pinterest!